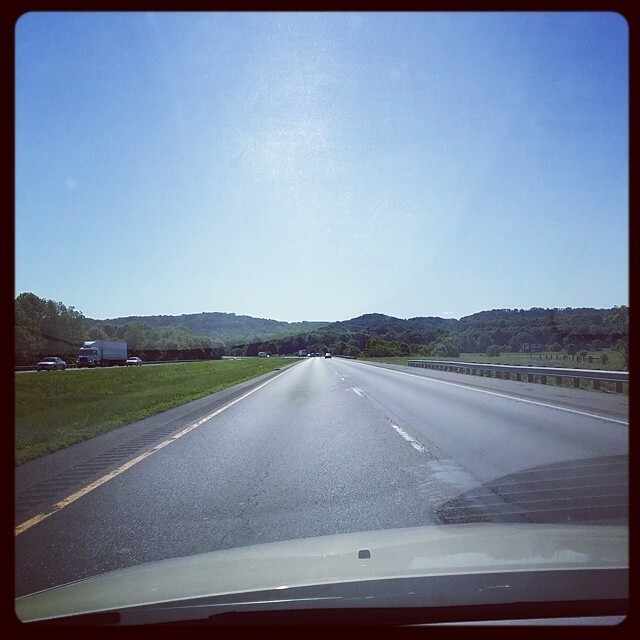 ROAD TRIP: A Legally Blonde Adventure! One of the joys of this “job” I have as a theatre guy is getting to see people at various stages of their careers. I might meet someone at Kings Island, our local amusement park (which, by the way, has some amazing talent and some really fun shows in addition to the famous roller coasters), and then see them in college productions or commity theatre and then maybe someday I’ll get to see them on a big stage in a national tour or at a place like the Pittsburgh Civic Light Opera. 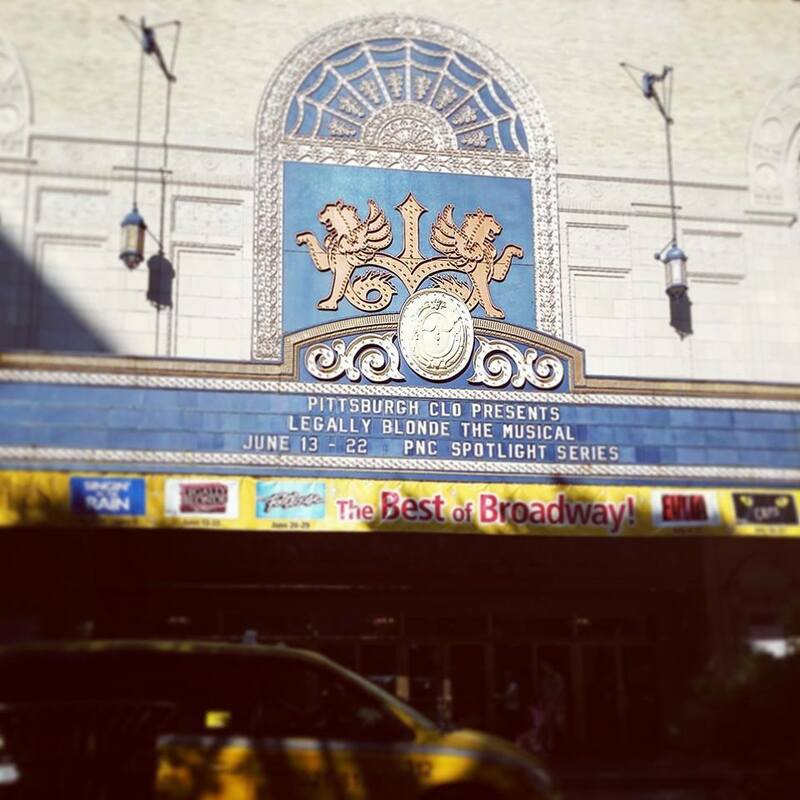 And that is the case with LEGALLY BLONDE, which I saw twice on Saturday at the Benedum Center in downtown Pittsburgh. I abhor driving on long journeys. I grew up two and a half hours from Cincinnati and it hard for me to even go back home because I hate that kind of travel so much, so to go four and a half – alone – is not something I relish. But the opportunity to see a show I love featuring some people I’m a huge fan of . . . well, yeah, I’ll do that. I set out on my journey early Saturday morning. The plan was drive up, see the matinee, say hi to the folks I knew in the cast, and then drive back. Nine hours – more like ten with breaks – in the car in one day . . . ugh. But it made sense from a budget perspective and I had all day Sunday to sleep it off. So, at 6:30am on Saturday morning I was in the shower and dressed and ready to go. I was on the road by 7, with a giant can of Mountain Dew and a packaged cinnamon roll to keep me company. I headed up I-71, listening to Patton Oswalt, Kathleen Madigan, and Lewis Black on Pandora, and settling in to the rhythm of the road. I got to Columbus and then Zanesville, and then Cambridge, Ohio. I’m fascinated by THE WILDS, which I think is like a drive-through zoo and its somewhere off that exit . . .sometime I’m gonna go there. About 10:30, I found a Burger King that proudly announced via multiple signs that they served Burgers for Breakfast. A Whopper AND BK’s hash browns in one meal? Yes please. AND a Coke Freestyle Machine? It’s like some fast food version of heaven! I went in and stretched my legs and the woman behind the counter couldn’t have been sweeter. I got my food, got back in the car and set off for the West Virginia border. 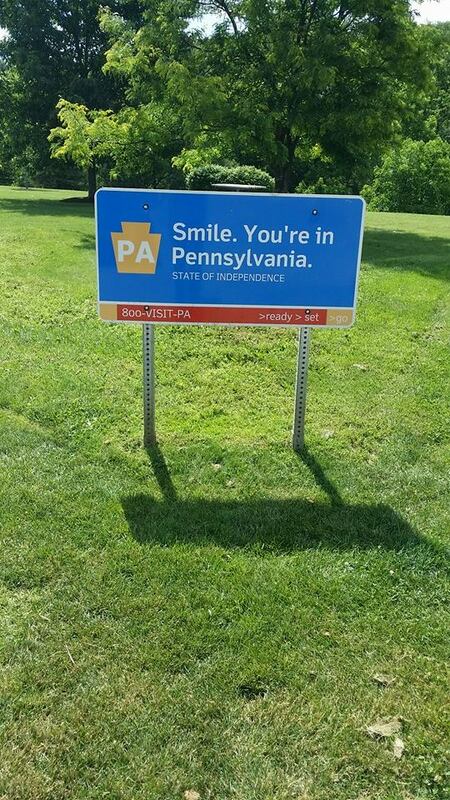 It wasn’t long before I was in Pennsylvania. Now, I had an amazing experience last summer in PA; I went to see some friends who were performing at Knoebel’s Family Amusement Park. That was a 9 hour trip one way so this piddly 4 1/2 hour jaunt was nothing! 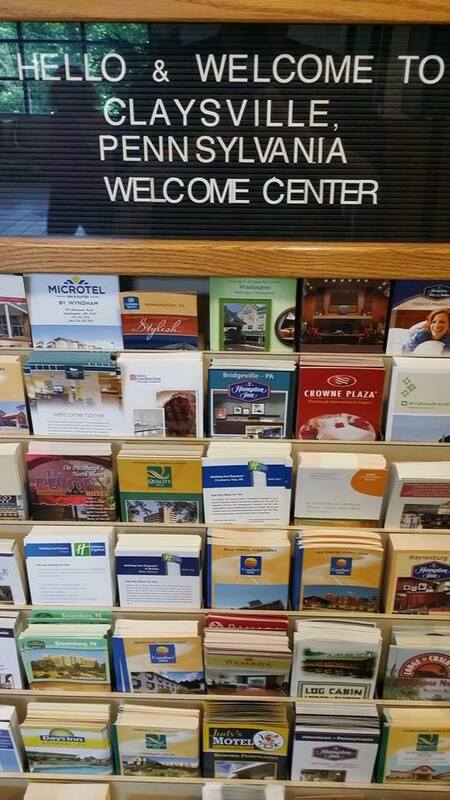 I stopped at the Pennsylvania Welcome Center hoping to be served some maple syrup or something. I mean, Florida gives you orange juice when you visit . . . But alas, all I got was a smile from the woman behind the counter and a near miss experience with a boundary-challenged male Chatty Cathy. I perused the brochures, wondering if I might see something advertising PCLO’s theatre season but I had no luck. After feeling sufficiently welcomed, I climbed back in the Malibu and took for Pittsburgh. As I got closer to the city, traffic increased and I started to get nervous. I remembered that I had received an email informing me that there was a lot going on downtown this weekend and I should be there early to find parking and such. It was getting close to noon and traffic was standing still. I managed to navigate past the delay and then drove through a mountain tunnel, which was really cool. It went on forever and I wondered what happened when a car broke down in there. I drove right smack into downtown and drove past the Bynam Theatre, which is where I thought I was going (both start with B’s, after all). I found a garage that was charging a flat $8 rate and I parked up on the 5th floor. I texted my friend in the show and told him I had safely arrived and he surprised me with saying we’d maybe have time for a quick bite before the show. I picked up my ticket for the matinee and decided to stay for the 8pm show as well, since they had $10 tickets available for that one too. It’s not every day I get to see people I care so much about on a stage the size of this one after all. I stood by the stage door and gave him a huge hug when I saw him. We headed off to Market Square, this bustling area of restaurans reminiscent of OTR on a busy Saturday. On my way up, a friend had posted on FaceBook that I should try Primanti Brothers; well, as luck would have it that’s where we ended up. I had a Ham and Cheese, which came with french fries and cole slaw on the sandwich. It was huge! My friend had to go so he wouldn’t be late for his call time and I headed into the theatre. I had a very pleasant experience, chatting with the usher before they opened the doors. Once they did I made my way up to my seat on the aisle in the next to last row. The stage was pretty far down there . . . so luckily about five minutes before show time the ushers told us we could move down and fill in the seats in the section below us. Score! Now, having the benefit of seeing the show twice, I will offer my opinions about the evening show as it was far better. Even still, it had some problems. Let’s get those out of the way: the choreography was abysmal. If you read this blog, you know that I seldom say anything negative and I never ever want to be mean. But, seriously, the amateurish choreo on this show was astounding. It’s almost as if it was bad on purpose. The jump rope scene? I saw better work in Junior High when the American Heart Association staged a marathon with 7th and 8th graders. The lines were all out of sync for much of the larger dance numbers and it just felt way out of line from what you would expect from this level of production. It wasn’t the work of the dancers; I could tell that these very talented and hard working folks were making the most of what they had to work with. I don’t know Jonathan Stahl, the choreographer, but perhaps he was in over his head here. I also was disappointed in multiple late mic cues and bad spotlight work (though it was less noticeable at 8 PM, it was still flawed). Also, because of the way the microphones were placed on the actress who plays Chutney Wyndham, had I not seen the show before I’m not sure I would have fully understand the big reveal during the climax. She was muffled into incoherency. The performers deserved far better tech and direction. I first became of Ms. Parris when she came through Cincinnati in the tour of Wicked. She was my first (and only so far) “Elphaba” and Paulette is one of my favorite musical theatre characters. What a tremendous performance; there was an understated presence to the character that made her more authentic, more real. She had the big moments that need to be there but I really enjoyed the nuances and subtleties. She’s very talented and a brilliant actress. Oh . . .and she can belt her face off. What a privilege to see her again. Ken Land as “Professor Callahan” also played the character with a low key energy that worked. 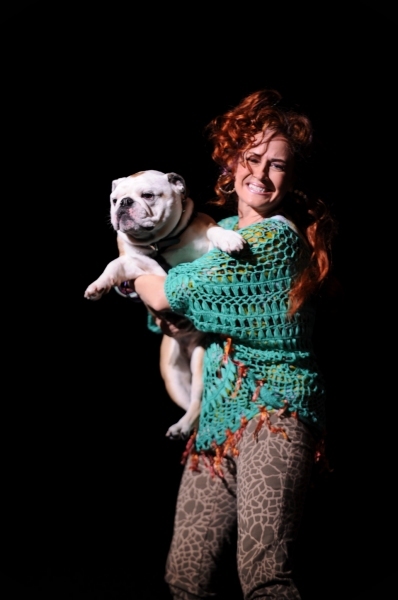 Jeff McLean’s “Warner” and both Annie Funke as “Enid” and Courtney Markowitz (“Vivian”) were super. Matthew Scott as “Emmett” played the role nicely and also had a pleasant voice especially when he went for the big notes. All in all, there was not a thing wrong with the performances. Good on all of them. After the show was over, my friend took me backstage and showed me where he dressed, where they called the show from, and I got to stand on the stage and look out at the seats where I had been sitting moments before. What a tremendous experience. I also ran into the other folks I knew in the cast and was introduced to Mamie Parris, who couldn’t have been kinder and more charming. What a fun experience. I said my final goodbyes and walked back to my car, fighting back tears. I am the Sappy Critic, after all . . . I had to ask myself what was wrong and I think I was experiencing such a wave of emotion. I am so proud of my friend; seeing him up there was overwhelming. Knowing that this is just the start of a very successful career for him got to me. And feeling the love from him back to me, the gratitude he showed me for making the trip to show my support . . . well, it all was just too much to contain inside. I headed back down the highway, driving as far as I could before submitting to the road and getting a room at a somewhat sketchy Economy Inn. The door to my room barely shut, for instance. I slept like a baby, knowing that this is just the beginning of a long future of watching stars be born. I am truly a lucky man to be part of it all. 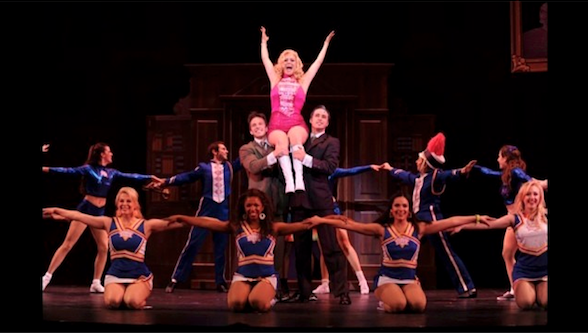 LEGALLY BLONDE, produced by PCLO, plays at the Benedum Center in Downtown Pittsburgh, PA through June 22nd. Tickets are available here.